The day to day work consist in keying detailed data in the system. For strategic purpose, the managers need to consolidate the data and use information. Then, they will be able to take the right decision, to establish some management strategies thanks to the information they analyzed. As there are as many possible consolidations, strategic visions, indicators as there are some retailers and / or manager, ibs Reporting permits an administrator to build reports and publish them thanks to different mean of communication. 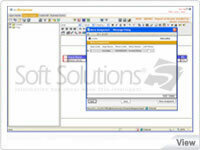 ibs Reporting is fully embedded in Soft Solutions' Suite. Then, it can use its own mean of publication and the other applications' ones. 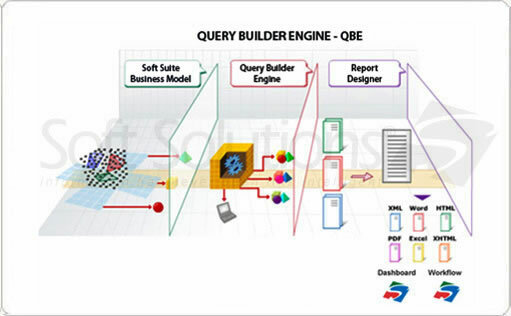 In addition to the direct generation in Report Designer engine, the reports may be generated automatically through ibs Workflow, or displayed in ibs Dashboard. In the ibs Dashboard: The reports can be linked to the "Indicator" portlet of the dashboard, to be displayed directly whenever the user opens the ibs Suite with his user. Here, the user will benefit from dynamic functions, such as the chart zooming on a value. Generated in html, excel, word, pdf formats and then stored in a shared folder on the server for multi-user access. Once the report is saved in ibs Reporting library, the report may be executed from ibs Reporting, either in real time or in background. The background generation permits the user to continue his work and open the report later on, once generated on the server. 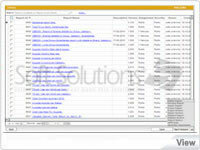 The report may be also linked to an application module, with a predefined format (html, excel, pdf, word). 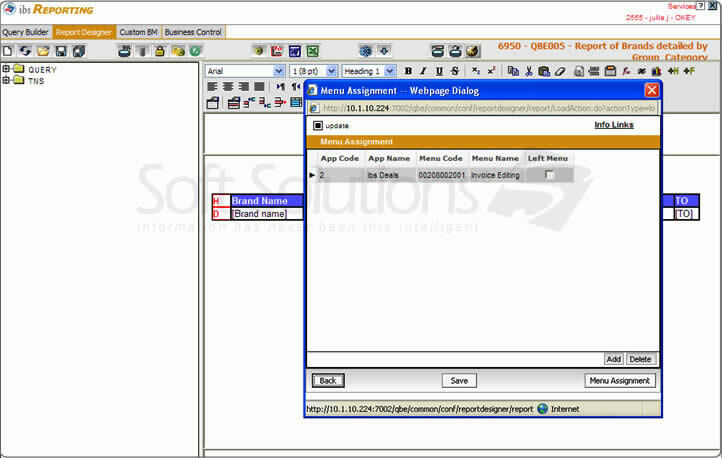 Then, the users accessing the related module will be able to generate the linked report without accessing ibs Reporting. Note: thanks to ibs Multilanguage, the report will be generated in the user's language. 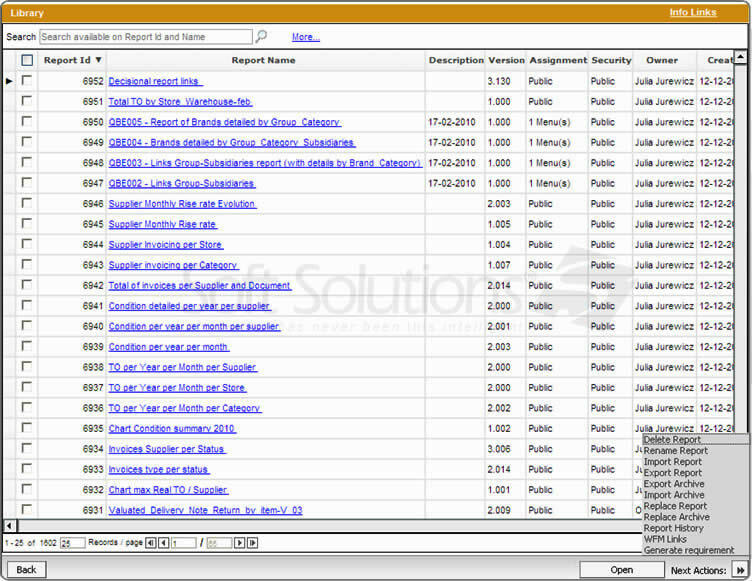 The report number is a created object, which can be linked to a business process in ibs Workflow. Then, it can be linked to some actions, such as a mail sending, an alert or to-do generation, a web service, or a generation on a shared folder. The report can be also displayed in the indicator portlet of ibs Dashboard or typed as KPI. Then, it will be displayed in the KPI tree.